Kevin Rutherford—CEO of nuun, a hydration company making tablets loaded with electrolytes—is from Ottawa. Available in 30 countries and more than 10,000 stores, including Running Room and independent running shops alike, nuun is growing like marathon records keep falling in this country. Is it coincidence? Who knows. Available on course already at the Ottawa Marathon, Calgary, the Canada Army Run, the BMO Vancouver Marathon, and many more, it was recently announced that nuun would be replacing Gatorade at the Scotiabank Toronto Waterfront Marathon—giving nuun the advantage over Gatorade at just about every major Canadian race. Ben Kaplan spoke to Rutherford—triathlete, marathon runner, CEO—about what Canadian expansion means to him and his brand. 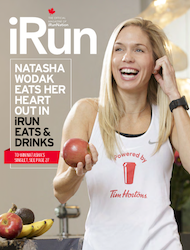 iRun: As a fan of racing, Canadian racing, what’s so special about STWM, obviously you know it’s where Canadian marathon records have been broken. The City: Toronto is a stunningly beautiful city with a blend of skyscrapers, a diverse population, surrounded by nature with parks throughout the route and a breathtaking view of Lake Ontario to the South. And to put icing on the cake, Toronto’s waterfront changes colours with the tree-lined path for the fall marathon. I lived in Toronto for over six years, so this town will always have a special place in my heart. The Runners: From the abundance of elite racers that take charge out of the gates at the front of the pack, to the more than 26,000 racers who are seeking to achieve their personal bests across multiple distances. This course is fast, so there’s no reason to not give it your all. This race is Gold: Take this literally and figuratively. Literally, this race has achieved the IIAF Gold Label, which is the highest standard for any race. Figuratively, this race is gold because of the first-class organization that runs it and their countless amazing volunteers. Of course, then there is the magnetic energy of the spectators where you will never feel alone and only supported with cheers for every single km of your run. The big question is, Do you think Toronto could be the ‘next major’? I wouldn’t count that possibility out. iRun: It’s about time they (who is “they,” anyways? Who do we have to talk to?) acknowledged Toronto for what it is. As for you, for nuun, how many races in Canada is this for you guys, and why is that important? Rutherford: We are hydrating tens of thousands of runners in Canada this year. Our on-course activation covers races from Victoria and Vancouver, to Edmonton and Calgary, to Toronto and Montreal, and my hometown of Ottawa. The reason this is happening is that we believe that traditional sports drinks have it all wrong. Sports drinks with high carbohydrates, artificial ingredients, and sugar are actually dehydrating you. The Canadian consumer is smart and they are seeking better options so they can perform better with the cleanest ingredients possible. At the end of the day, we want all Canadians to move more and optimal hydration with only clean ingredients is a great tool to help people perform at their best. Canada Running Series has perhaps ten different events and have made news in this country with their Lululemon partnership. Are you talking about being on-course at more than STWM? Rutherford: The answer is simple, we are going to be on course for all of them. We are stoked about every single ‘Canada Running Series’ race, and like the CRS and runners, we will bring our best each and every time. Alan Brookes and the CRS team hold themselves to the highest of standards, and we are stoked to help elevate their game at each event. iRun: That is awesome. You found a niche and disrupted it and your growth has been astounding. What are the most recent numbers you can share toward your success? iRun: It’s cool that as you continue to grow you remain connected to Canada. What does it mean to you to see nuun on-course at Ca nadian races? iRun: You don’t have to call out the competition, though I’ve done it twice, including in the headline, but Gatorade had been on-course for 25 years at STWM, and on-course is their jam. Does this signify a special moment in time, a changing of the guard if you will? Rutherford: I believe that being on course at STWM does signify a special moment in time for nuun. We are honoured to partner with such an iconic marathon and first-class organization. Serving their participants is a responsibility that the nuun team takes very seriously. That said, I do believe there is awakening across many categories where the consumer’s access to information is greater than ever. For nuun, our focus is to be transparent on who we are, why we do what we do, and most importantly walking the ‘clean talk.’ Everyone at nuun is an athlete and by that, I mean everyone believes in the power of “muuvement” for health and vitality. So we strive to create tools (hydration) and a community that facilitates this belief. Today there’s a ground swell of consumers who believe what we believe. The trajectory of this mindset and shift to products like nuun in the sports drink world is humbling and it’s exhilarating to be at the forefront. iRun: What’s next for you Kevin, both you personally and Nuun? Rutherford: For me personally, I have a few goals. First and foremost, we want to keep raising the bar at nuun so that we are the most desired company to work for in any industry. I said “we” purposely as I believe that culture is a living ecosystem that every single teammate contributes to making it stronger, or unfortunately, more vulnerable. Nuun is a place of one shared mission and values that everyone is passionate about so our ‘job’ becomes a place people want to be, versus have to be. So for me, that is my top priority outside of family, of course. On a fitness front, my focus this year is building strength, power, and speed as I nurse a foot injury (plantar faciitis) with the goal to get back on the triathlon and marathon circuit by fall or in 2020.
iRun: Nice. Be good to see you back. And as for the brand? Rutherford: As for nuun, we will continue to bring hydration that you can feel the difference so you can ultimately move more. In Canada, that means you can expect product improvements on our current line and coming soon you will see our Immunity and Rest lines that launched most recently in the US. The best part, we’re just getting started as there are so many opportunities to bring more health and vitality to Canadians from coast to coast. iRun: Lastly, let me put you on the spot: You’re already on course in Ottawa and that’s coming up soon. Do you plan on making the trip? Rutherford: Tentative on that front, Ben. I’m a big fan of that course, not just because it’s home for me, but also because I think John Halvorsen and the team in Ottawa are first class. They care about the city, the racers, and planet. When it comes to my schedule, I may have a timing conflict with an initiative in the UK as we activate on this expansion market, combined with nuun partnering with our friends at Virgin Sport for their race weekend. 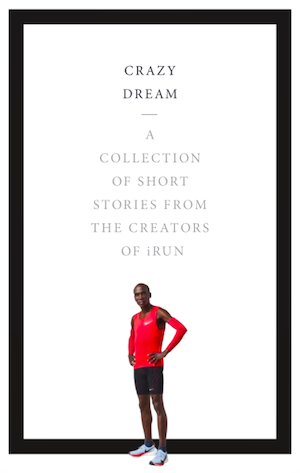 iRun: So it’s a solid….maybe. Rutherford [laughing]: Either way, my heart will be there for sure. Nuun still leaves an aftertaste that I cannot get rid of. In a marathon that’s not good. Gator never did that or honey max. Why do people think real sugar is bad. It serves a purpose. Nothing fake or so called natural works…I need an orange after taking it.